Megan Nourse has joined Opus Business Media under the title of Classified Sales Executive. Megan will work across the company’s portfolio, specifically on Tomorrow’s FM, Tomorrow’s Health & Safety and Tomorrow’s Flooring. Opus Business Media has announced the launch of its sixth publication, Tomorrow’s Care. 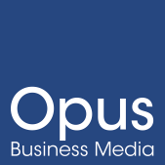 Opus Business Media celebrated the opening of its new London offices this week, standing the company in good stead for its future growth plans. Opus Business Media has been named as the official producer of the show catalogue for the inaugural Facilities Management show.